Most people love the convenience of going online at the local coffee shop, the airport or the hotel lobby; but most people don't know that going on the Internet in those places (called "hotspots") isn't as secure as you might think—or as safe as you need it to be. The reason? A public Wi-Fi/wireless connection is designed to provide an easy way for anyone in the immediate area who wants to go online to do so. To make that happen, the security measures are a lot lower. In a lot of places you don't need a password; at other places, there might be a password, but just about anyone can get it. What's a hotspot? A hotspot is any location where a wireless network (also called Wi-Fi) provides Internet access to the public—places like airports, hotels and coffee shops. Hotspots have grown in number, and grown more important, as more people have shifted to laptops and smartphones. Are you always at risk? But that all changes for the worse if there's just one person logged into that same wireless network who is 1) savvy about network security (or the lack of it) and 2) actively preying on people who don't know their information is up for grabs. It's not personal; it's simply fun and games for them. Make no mistake about it: there ARE a lot people who think it's okay to intrude on your privacy and see what you're doing online. Some snoops do it with computer technology; others will actually (and quietly) video your computer usage with their smartphone! Here's what it comes down to: if there's a Wi-Fi snooper nearby, most anything you do online can be seen and captured by his or her computer. Your Google searches, your usernames, your private emails... it's all out there for the taking. So, if you sit down at the wrong place and at the wrong time, and you might be telling your secrets to the nice looking young man (or lady) next to you. 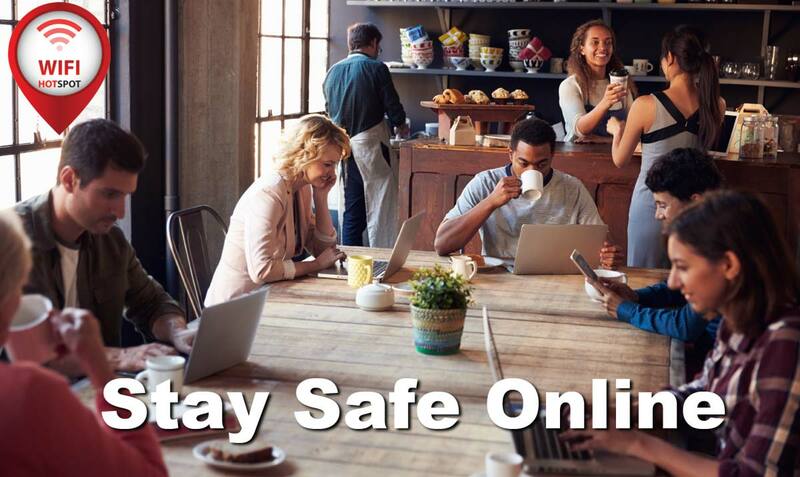 With your personal information and privacy at risk, her are some tips for what you should and shouldn't do when you're online at a public hotspot. Name that Wi-Fi. This is important. In a hotspot, be suspicious of wireless networks on your device that show up with names like "Free Wi-Fi" or "Free Hotel Wi-Fi." Some hackers set up their own wireless networks with fake names to trick you into logging on. Find out the name of the hotel's or airport's Wi-Fi network ahead of time and log on to it. Avoid using passwords. According to the experts, hackers can track your keyboard activity and get your passwords, even though they can't actually see them. There are software programs you can download designed to hide your passwords (look for them online); but it might be better to avoid activities where you're using passwords to log-in to your most sensitive or important accounts. Don't let your guard down. You might be lucky and not run into online snoopers when you're in a public hotspot. But your luck could run out one day. ANY TIME you're online in public, your data is out there for an online intruder to see. Think of it like talking on the phone. You wouldn't give out private information so others around you could here you. Do the same online—be discrete! Let your computer help out. Both Windows and Mac OS X (those computers' operation systems) come with security features that can help protect you. Find the computer's security settings and take steps to enable your firewall (which is like putting up an invisible fence). This will actually help block out all incoming traffic, keeping intruders out. Look for the "s" for security. Any time you're on a webpage, look at the address bar (above the web page) and the website's name. If you see "https" right in front, that Web site is encrypted, which means you're data can't be read in transmission. If you see only "http," that site isn't secure. You might also see a small "padlock" symbol in front of the web address, which is a good sign. 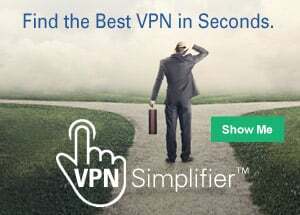 If you don't want to limit your online activity but still want to be extra safe, looking into a Virtual Private Network or VPN. By downloading VPN software, you will be protected from hackers even if you're online at an unsecured hotspot. You'll pay a small fee for the service, but the protection and peace of mind will likely be worth it. And about your IP address. In case you're wondering about the IP address your using on at a hotspot, it's whatever the IP address is for that wireless network... and everyone using that particular Wi-Fi is sharing the same IP address. Next time you're at a hotspot, visit whatismyipaddress.com to see the IP address you're actually using.